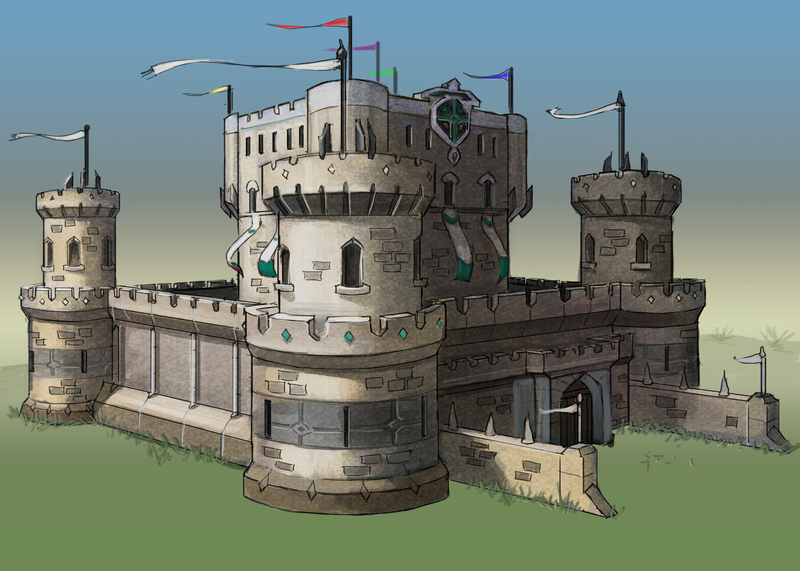 Recently, Jagex offered us the chance to interview one of the content developers about RuneScape's 8th of July update. Unlike the previous interview we were given, we really wanted this one to be a surprise, and therefore kept it on the DL by gathering questions from the forum staff, the DMs, and the chat moderators. So without further ado, here's the interview we were given with Mod Tim! 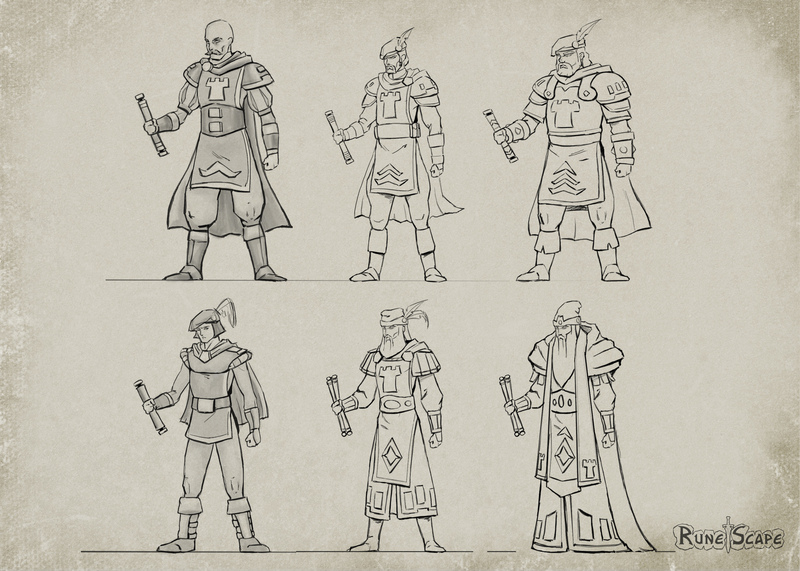 Which element within Mobilising Armies was most fun to create? I really enjoyed the first prototype – trying to set up the camera to act in the unique way it does. Interestingly enough this was also the element that caused me the most pain! It went through a few different versions that gradually improved as we understood what played well/not so well. Getting the extra functionality from the game engine team helped to polish things off. What aspect of the Minigame are you most pleased with? I'd say the rescue scenario's gameplay. This scenario required quite a few tweaks to get it working from a technical standpoint, but the actual gameplay mechanic went through very little changes from the initial design. So I'm quite proud of the idea and still enjoy playing it myself (even after a year's development). What was the hardest part of Mobilising Armies to design? Because of the sheer amount of choices available to the player in this mini-game, analysing what tactics players would choose to do is very complex. This makes balancing the project a very difficult task. Take for example the siege scenario – would players just try to kill each other? Would they want to attack the walls with their units? Would they build catapults? Would they attack opponent's catapults? How strong should the catapults and walls be? How far away should the rocks and resources be? Can we make sure all 4 players start off on equal footing? Etc. A LOT to consider. By creating something innovative and experimental, there are bound to be risks. When developing Mobilising Armies, what were you most worried about? I was most concerned about technical issues – simply because of the complexity of the project. Even with a superb QA team it doesn't compare to thousands of players trying to play at the same time! As you know, the waiting rooms didn't work so well on release – they worked perfectly fine for us, but the sheer volume of players is hard to test for. Luckily we fixed the waiting rooms and with hind-sight are now hopefully able to improve things further. Were there any parts or ideas of Mobilising Armies you couldn't create because of limitations in the new technology? A boarder select (being able to select multiple units at the same time) was something I wanted to add but sadly couldn't. Having a few hundred units under your control on a map 10 times bigger would have been nice... Other than that, I'm happy with the end-product in terms of technical achievement. Minigames have a habit of changing from the initial storyboard to the finalizing at the end. What did you have to leave out or change that you really would've liked to keep in the game? Initially we had in mind more scenario ideas. But we didn't want to push things too far: feeling that 4 scenarios would be a fair amount. I wanted to have some scenarios that featured enemies you'd have to overcome other than your player foes. Very early on the idea of cooperative play (2 vs 2 / 1 vs 1) was considered, but this actually makes things a lot more complex to design and would have taken us far longer to implement. The Dev Blog explained that additional capabilities were added to the game engine during development. Which new feature created for Mobilising Armies do you think will be most useful when creating future content? Good question. I'd say that the 'squad icons' (the icons that appear when you've more than one squad standing on the same square) may prove useful. Nothing is planned for them at the moment, but it's easy to imagine plenty of situations where you have multiple NPCs (non player characters) standing on the same spot that you'd like to see a clear indication of. Is there any plan of using this concept of controlling NPC's in future updates? Not at the moment (unless in the mind of some other inspired content developer). You have added the ability to get rid of commonly made items that have little use in-game such as hardleather bodies or willow unstrung bows. Was your reasoning to finally get rid of junk, or simply to give people the ability to finally sell those items that get stuck? A bit of both really (although I wouldn't term the items as 'junk'). It was also a nice way to offer larger rewards: if you invest some financial value in a scenario (as well as your own time), we can then more easily justify giving you a larger reward. E.g. If you spent 100 coins to play a mini-game, we know we can at least give you 100 coins back – and this way maybe we can give you back 100 of some other item. Hence the idea of the 'spoils of war' came about. Who managed to "break" the code in the most spectacular way during development? With the waiting room system, I think I managed to 'break' the code several times with testers finding themselves in games by themselves or ending up on different islands. My favourite example we already gave in the blog – and that's of a cat following someone into a game when we'd forgotten to turn off followers. As a guilty pleasure, I then spent a minute taking in a few different summoning creatures for my own amusement. What was the inspiration behind Mobilising Armies? A lot of people were involved in the project and they will have all had their own sources of inspiration that will have affected the final product. Speaking for myself, I've played a lot of RTS games in the past, and would say it's a mixture of those combined with my own drive to create something that's a bit different. I never want to copy something that already exists but rather see if I can create something unique. Of all the RTSs I've played I think I learnt a lot from StarCraft and that probably inspired me, but Mobilising Armies certainly didn't turn out anything like it! It seems to a few people that the "winner" in this game is the one who does a "Rimmer" and hides under the table while everyone else fights, and then comes out to kill the remaining players off when weakened. Was there a particular reasoning behind this tactic, or was this an oversight? This was something we were worried would happen. I always felt Conflict should be the most 'free' of the scenarios in terms of gameplay. I thought: if you want a more focused goal – try one of the other three scenarios – if you want something with less rules (but potentially more unfair tactics from other players) try Conflict. The scale can go from too many rules and no freedom for tactics, to too few rules providing lots of tactics but plenty of abuse. Finding the right balance is difficult. In hindsight there are some slight changes we can make to that scenario to make it play a bit better (without taking away too much freedom). This is something I'm looking into right now. If you could answer the critics who have not even played through the whole potential of the game, what would you say to them? I think you should give something a chance before giving your opinion on it. Who is the best MA player in the Jagex office? I think it turned out to be Mod Tomh (the lead QA tester on the project). He was quite proud of that (Grrr). Who was it who came up with the 'Easter Egg' statements such as "All your base belong to us"? That was Mod Maz. At first I thought she was joking (I understood the reference, but wasn't sure if it was appropriate and if many players would report it as a grammar bug) but then realised she was serious and the phrase just stuck. Which JMod is reading the OED, and are they enjoying it? How angry were the ogre women in Oo'glog when they found out about all these fights nearby that they weren't allowed to join in? Not that angry. They just rolled their eyes: why battle to the death instead of rest in some relaxing spa? Have you considered the possibility of selecting multiple units? I've mentioned this in the question above as it was a technical limitation. We did also consider having commands / special units that would send all your squads to a certain destination / attack a single unit but felt then that would be too overpowered (even if you could only use it a limited number of times). I think the expectation is that this should work just like RTS games – when it's really quite different: boarder select makes lots of sense when you have hundreds of units to command. But in Mobilising Armies you have a far smaller amount to manage. Why is there only QuickChat available in the game? This is a technical issue or rather something that would take more time that we felt it worth to solve. Basically, when you talk in the game, you can only see what players say that are standing nearby to you. With players moving about across the scenario map, you can't guarantee anyone will see what you type. We might re-visit this in future but nothing is decided yet. It's certainly not because we don't want players to communicate with each other. We felt that we should be able to come up with good phrases to cover most situations – if you have any better phrase ideas – post on the forums! It's been said in the past that the way certain features will function for a large number of players is often different than the way it will perform for a smaller group of testers. For instance, the priority feature in the waiting room works best with small groups of players, but creates wait times of up to several hours when the number of people in the waiting room exceeds 50 or so. Were there any other (forseen or otherwise) issues that the developers ran into when preparing Mobilising Armies for a much larger audience than the QA team? The waiting rooms were the only one for this project. Care to give us insight on what's in the building requiring a rank of 100? I imagine by the time you read this, it'll no longer be much of a secret and I didn't imagine it would be anyway!? Are you planning to add more types of units and scenarios in the future? No hard plans for either at the moment. Personally, I would like to add more scenarios, but want to get the current version working well first. Why can't we select squirrel units? They are known to crack tough nuts! Well. I know that Maz was long considering how best to deploy her minions (being the acting Queen of the Squirrels as many of you know), but believe she decided it was not a fitting application of their skills. Perhaps in future when we can develop some miniature dragon-plate armour she'd be glad to gather a 50-squirrel strong squad? A huge thanks goes to Mod Tim for these great answers to our interview! And last but not least, thanks to Mod Hohbein for getting in touch with us about this interview in the first place!